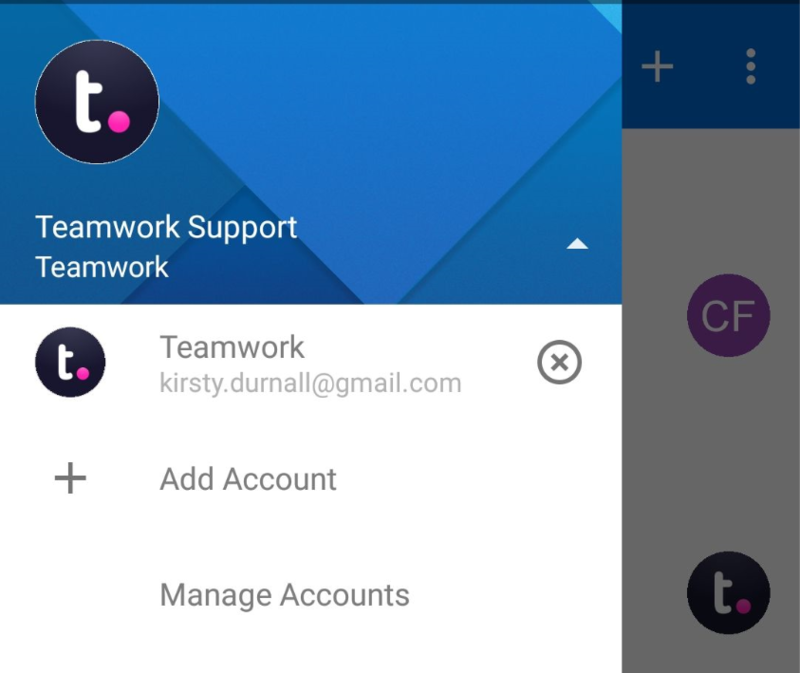 Within Teamwork Projects, you can log in to multiple accounts on the Android mobile app, and easily switch between them. When you first log in to the Projects app, you will see a list of all accounts associated with your email address to choose from. Once logged in, you can use the dropdown arrow to the right of your name in the sidebar menu to add another account. 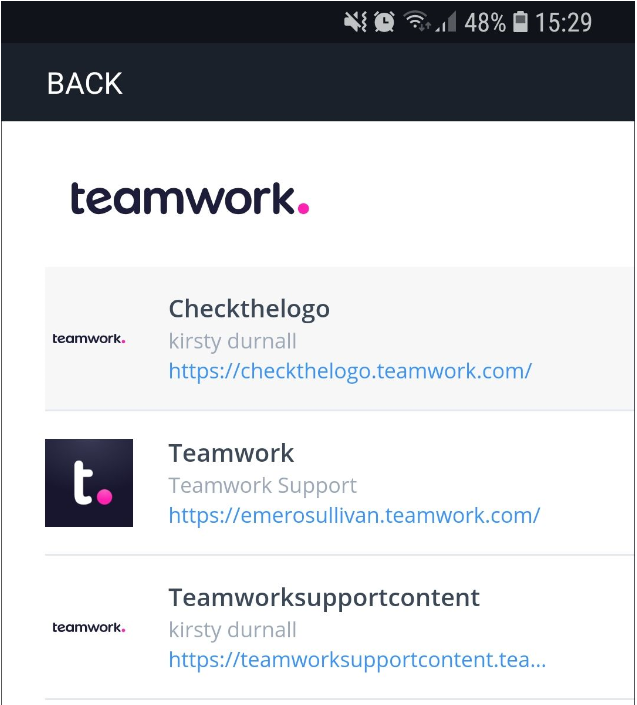 From there, click the Add Account option to log in to another one of your Teamwork Projects accounts. 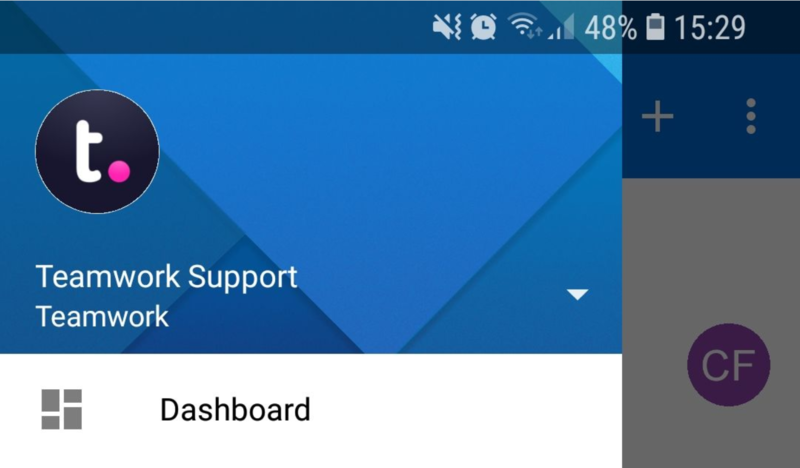 If you are already logged in to multiple accounts, you can easily switch between them in this menu. You can also manage the accounts here, and remove accounts you no longer want to show in the list, by clicking the X beside it.